The Chinese are credited with inventing (besides gunpowder, spectacles, and the concept of money) the canal lock, enabling boats to travel uphill and down. It is a clever idea, but has one drawback. Every time the lock gates are opened, tens of thousands of gallons of water must be released downstream. If there is much traffic, a serious water shortage can develop. The Grand Union Canal, despite making a number of detours to avoid the highest ground, must somehow get past the Chiltern Hills on its way from London to Birmingham. The summit is reached just north of Tring, and there is a series of closely spaced locks in both directions. To help supply the water for these locks, reservoirs had to be provided, and were dug out by teams of “Navvies” on marshy ground near the village of Marsworth. Four were built in all. 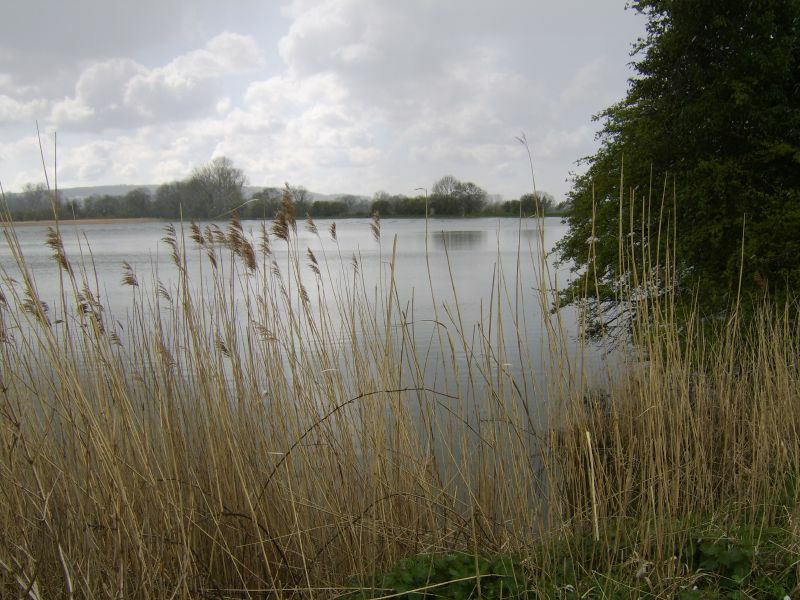 The largest, at 120 acres, is Wilstone Reservoir; the other three, Tringford, Marsworth, and Startopsend Reservoirs, are grouped together a little way to the east and total 90 acres between them. In total they hold a maximum of 460 million gallons; or about 10,000 locks-full. Thirty years ago the Nature Conservancy leased from the British Waterways Board (then the British Transport Commission) the banks and woodland at the reservoirs, and the area was designated as a National Nature Reserve. 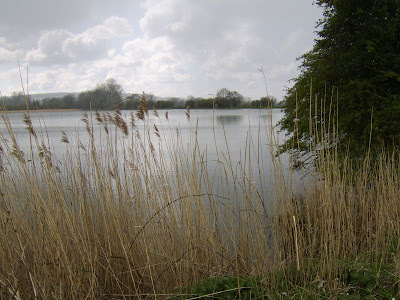 Situated as they are on ancient marshland, the reservoirs have an interesting flora, with such rarities as the orange foxtail grass, round-fruited rush, and mudwort, and some quite scarce insects which are also relics of the former marshland. But it is for birds, especially water birds, that the reservoirs are best known. It was at Tring that Julian Huxley carried out his pioneering study of the great crested grebe, and ornithological history was made in 1918 when no fewer than three pairs of black-necked grebes bred, the first ever confirmed breeding record in England. History was made again in 1938 when a pair of little ringed plovers brought off three young at Startopsend – the first known breeding in Britain of a species which has now colonized much of the country. Startopsend is entirely surrounded by embankment, but the others have partly natural shores, with extensive reed-beds at Wilstone and smaller ones at Marsworth. The reeds provide a haven for surface-feeding ducks – mallard, teal, shoveler, and wigeon – and on the open water are diving ducks such as tufted duck and pochard and, during winter and early spring, goldeneye too. Rarer ducks can also be expected at any time, as well as wild swans and geese. The site of the reservoirs, at a gap in the Chiltern escarpment, makes them ideal for attracting migrants, which tend to get “funnelled” through geological features such as this. The reservoirs are especially attractive to migrating waders, which otherwise might not make a landfall in the county, and it is for unusual waders that Tring is perhaps most visited by bird-watchers. The spring wader passage is now nearing its height; the autumn passage, which is generally heavier, with a greater variety of species, peaks between late July and September. The water levels fluctuate a good deal, as might be expected, usually being highest in winter and lowest in late summer. The best time to see waders is when the level is somewhere in between, for their feeding areas are found in zones of soft mud and shingle which are covered when the water is too high and tend to dry out if it gets too low. The early morning after a night of drizzle, with overcast skies and a persistent north-easterly wind, is the perfect time, provided the levels are also right. One such morning in August, after a night of gale force winds, produced common, green, and wood sandpipers, greenshank, ringed plover, snipe, lapwing, and even a red-necked phalarope. On other mornings there were dunlin, redshank, little ringed plover, ruff, little stint, and curlew. Among the most productive spots are the broad expanses of shingly mud at Tringford, the southern corner of Startopsend, and, at Wilstone, both the marshy area at the southern end and the long sweep of the south-eastern shore, which, fringed with reeds and backed by aspen woods, is very lovely. Indeed, the reservoirs have their attractions for humans as, well as birds. Whether visited for bird-watching or simply a stroll, they rarely fail to raise the spirits. Even on sultry afternoons there always seems to be a breeze blowing across the wide water of Wilstone. The air comes through the gap in the hills; distant views of the Wendover Chilterns, stretching right round from the south to the north-east, give a sense of openness and freedom, and, from the slight hillside which rises above the aspens, there are extensive views of the vast emptiness of the Aylesbury Plain. The Grand Union Canal, built between 1793 and 1805, was one of the biggest engineering projects of the age, comparable with the construction of the M25. Doubtless little thought then, as now, was given to the effect it was having on the countryside; but with the canal system, where transport is conducted on a gentler scale, we have been lucky, and, for Tring Reservoirs, must not forget in our gratitude to acknowledge those wily Chinese.